We Believe in Celebrating the Heart of our Thankful Brides. It's more beautiful than their dress, more beautiful than their flowers, and more beautiful than their perfect cakes. Keep reading to hear these Sweet Brides share their Hearts as they Prepare for Marriage and as they reflect back to that special day. You will soon know why we love them so much and feel so blessed to call them all A Thankful Bride. "With Three days left until our wedding day, it feels surreal to watch all of the plans and details we have been discussing for months fall into place. Our wedding will look somewhat different than most, as our guest list is comprised of 35 of our immediate family members. For us, we wanted our wedding day to be a celebration of our marriage, of course, but also to be a celebration of our families. They raised us, shaped us, and grew us into the people that we are today, and the people that Elick and I will get to be for one another for the rest of our lives. For that, we are so very grateful. The days leading up to our wedding have been full of reflection and appreciation for all the Lord has seen us through that led us to this point. Elick and my prayer has been, and will continue to be, that our marriage will serve as an Earthly representation of Christ's love for His people, and His endless grace, mercy, and forgiveness. We can’t wait to enter into this exciting next chapter of our lives, and to see what the Lord has in store for us. 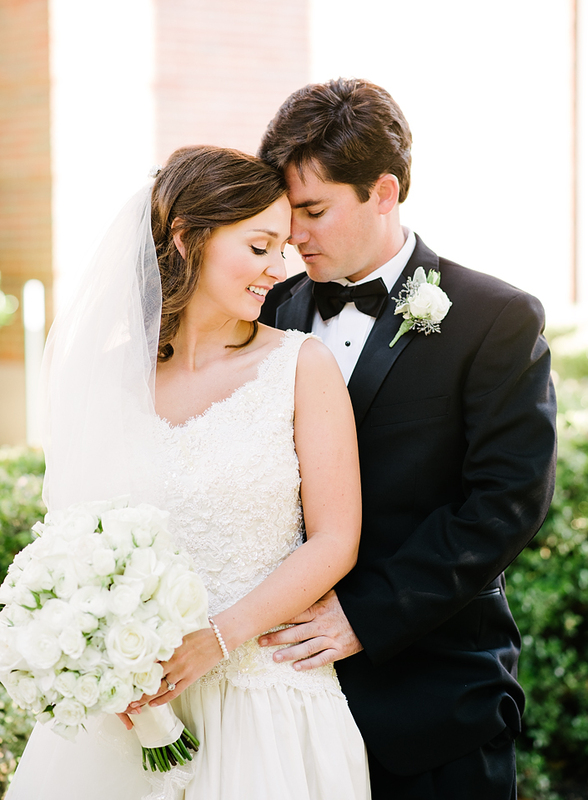 ❤️ A Thankful Bride, Bailey"
"I knew I was going to marry Trevor the first time I met him. It is truly amazing to see how the Lord has worked in our lives both separately and together, leading us up to this moment. I feel like I'm living a dream, but I think this is just a picture of the love God has for us. Saturday can't get here soon enough! I can't wait to be Mrs. Williams! 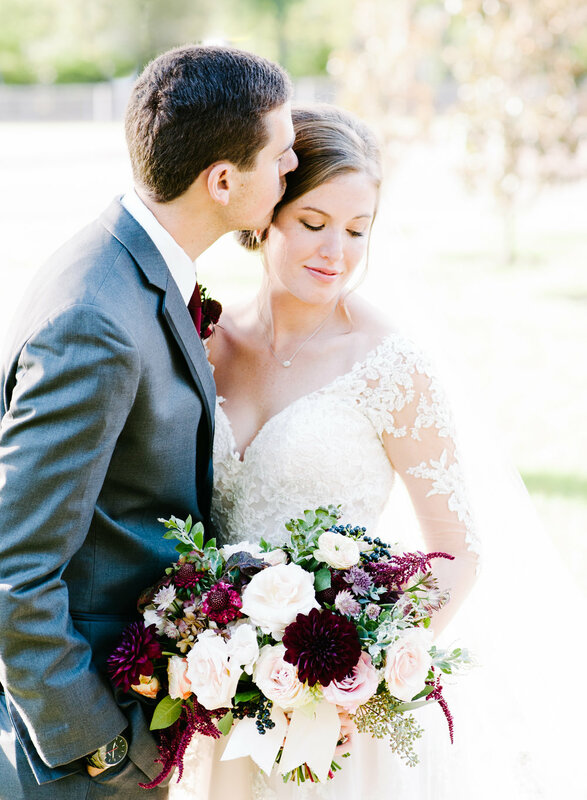 - Kristen, A Thankful Bride"
"Tomorrow is our wedding day and my heart is bursting from the amount of gratitude I feel when I think about marrying the man God hand-picked for me, Great is Thy Faithfulness. As Song of Solomon 3:4 says, "I have found the one whom my soul loves". There is something radically beautiful that God drew my heart & soul to Jacob and in turn drew his toward mine. I can't wait to promise forever tomorrow to such a hard-working, servant hearted, and caring man. To my future husband-you are my greatest gift and deepest joy. I love you now and forever! ❤️Holly, A Thankful Bride"
‘Mark 10:9 Therefore what God has joined together, let no man separate.’ Life is so full of twists, turns, bumps and surprises, and my life has been no exception. One thing that has remained constant is that God has been by my side through every moment of it, and he hasn’t faltered in the path to find my husband. I am so in awe of the man he has created for me. He has given me a man that strives to love me in a way as selfless as Christ has loved us all. I am incredibly thankful for the friends that will stand by us throughout our wedding and marriage, the families that will be joined with our union and the soon-to-be husband that is so much better than I could have designed myself. I’ve watched so many of my friends get married (it was an ongoing joke that I was the real life 27 dresses), but I wouldn’t take back a single moment of waiting, as God’s hand was on it all forming us into the two individuals that we are today. He is in control and I’m thankful it is in His hands and not mine! Stay faithful, the future Mrs. Hendricks, A Thankful Bride"
"The day I have been dreaming about since I was a little girl is almost here! I am beyond thankful that I get to marry my best friend! God brought Jordan I'm my life at the most perfect time. Ever since the day we met he has never stopped pursuing me & making me feel Iike the most special person ever! He is gentle & kind, he always has a positive & uplifting spirit. He makes me want to be a better person, & I think that's love... when you become a better version of yourself. When I'm with him I feel like I am home. Our relationship has been the greatestjourney of my life over all. With Jordan life is just a really big adventure! I feel so lucky that God allowed us to meet, that I was even able to met him is the most incredible blessing in my life & the fact that we fell in love & are getting married is just ridiculously incredible & amazing! I cant wait to see God grow in our marriage & to spend forever together! 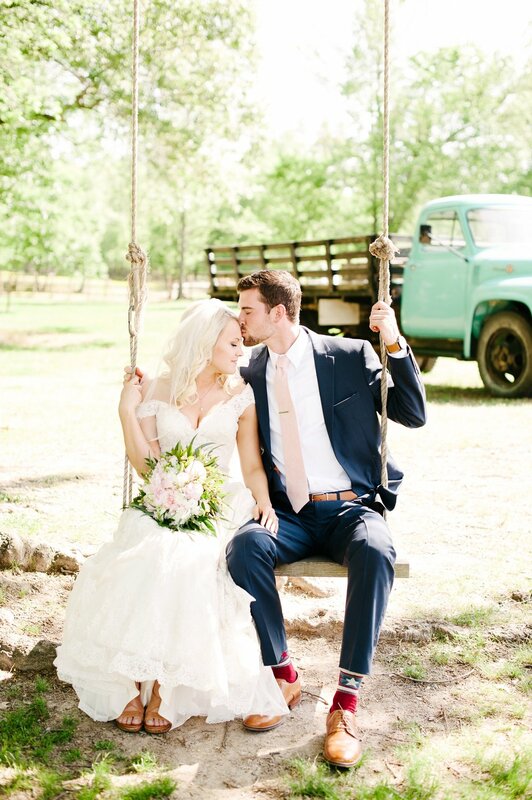 ❤️ Xoxo Cari Ann, A Thankful Bride"
"I am still in disbelief that I finally get to marry my best friend in two days. When he had just met me 8 years ago in high school, Matt told my friends on the beach he was going to marry me one day. I can't believe that day is actually almost here. God gave me my soul mate who constantly makes me laugh, supports me in all I do, and makes me whole. I am so excited to start this new chapter in our life, and begin so many fun adventures. I look forward to doing life with Matt, starting a family, and growing old with him. I seriously can't imagine being with anyone else, and know we were destined to be together. I am so ready for Saturday to celebrate our love with our closest family and friends. My heart is so full! -Ashley, A Thankful Bride"
"I simply cannot believe June 16th, 2017 is already here! God is so faithful! I am so thankful for the evidence of my answered prayers! I have prayed God would provide man after His own heart since I was a little girl. About 3 years ago, when Jordan and I met, I realized my prayers were answered and “I had found the one whom my soul loves” Song of Solomon 3:4. Jordan is an amazing man who loves the Lord, unconditionally loves me, encourages me and guides me daily. He makes my heart flutter every time I see him! I am filled with so much joy knowing that Friday evening I will marry the man I have dreamed and prayed about! I will finally become a Harwell! I will forever be thankful for answered prayers and the sweetest blessing God has given me, my husband! -Allyson, A Thankful Bride"
"With our wedding day closing in at T-1 day away, I can't help but be filled with overwhelming joy! There is NO doubt in my mind that God knew exactly what he was doing when he placed us, two complete opposites together, 6.5 years ago. I stand amazed knowing that the Lord has been preparing, making, and molding us for our wedding day long before we first met. It's hard to believe I get to marry a man like Tyler- a man who loves me like Jesus does, a man who puts his heart and soul into everything he does, and a man who challenges me to grow in my walk with Christ daily. But on the other hand, it's completely believable, becausethat's just the kind of God we serve- A God who is faithful to work all things together for the good of those who love Him (Romans 8:28). We are SO excited to celebrate our love story with so many special people this Saturday, June 10, 2017 💗 To Him be the glory! 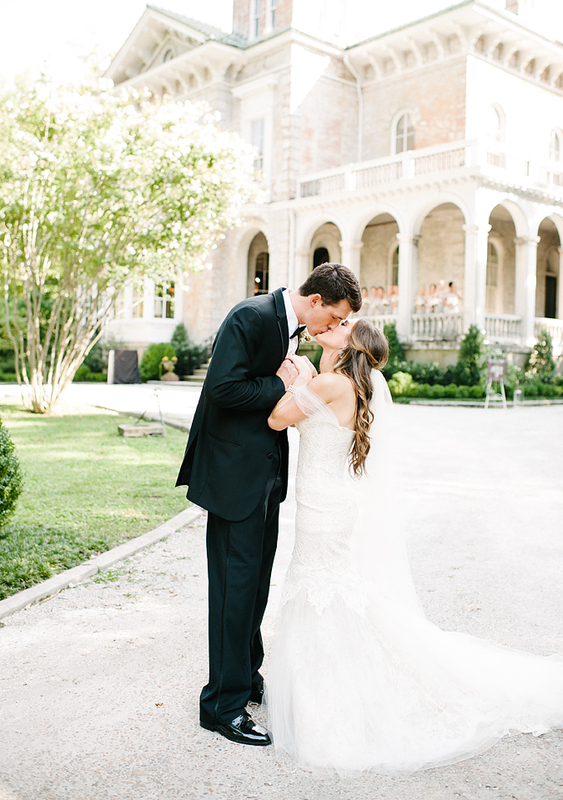 💗 A very thankful bride, Meredith"
"As our wedding day quickly approaches, I can't help but feel exceedingly thankful. For the longest time, I was skeptical that I would find the type of love I had hoped to find. But by being with you, I'm reminded every day that God's plan is bigger than mine could ever be. I'm thankful for the man that you are; so loving, passionate, funny, full of life, and dependable. I'm thankful for the love we have been able to cultivate and I look forward to growing old with you by my side. I love you, Evan. -the future Mrs. Harrison. ❤️A Thankful Bride, Bethania"
"As our wedding day nears, I'm reminded how God has blessed me so with you in my life. You are so loving, selfless, supportive and funny. I am so lucky I get to marry my best friend. I love you, Ross. - The future Mrs. Burton, A Thankful Bride." "God let Robert and I cross paths our freshman year of college. At that time, I had no idea I was randomly paired as a blind date with my future husband. Time passed and nearly three years later our paths crossed again our senior year of college. This time we started our relationship as a couple. Now, we are one day away from our wedding. My parents have always believed in the power of prayer and have instilled that in me since I was a little girl. My parents have constantly prayed for the man I would marry since I was born. Robert is God fearing, selfless, intentional, and so much more. I am so thankful for God's provision in my life. This Saturday I get to marry the man God has placed on this earth for me to love the rest of my days here. I couldn't be filled with more joy! ❤️- Taylor, A Thankful Bride"
"June 3rd, 2017. The day I have dreamed about is almost here! I am marrying the love of my life, and living happily ever after with him. Everyday since the day we met, I remain constantly swept off my feet by his charm and ability to make me laugh. I am so thankful for Miguel's sweet nature and his gentle loving heart. I couldn't imagine sharing my life with anyone else. My heart is full of happiness, joy, and love. ❤️- A Thankful Bride, Sarah"
"For great is his love toward us, and the faithfulness of the LORD endures forever." Psalm 117:2 God has been so good to me! He has been my rock for all my years of singleness. In his kindness and perfect timing, he provided my handsome future husband, Jesse. Jesse is my best friend and he loves and leads me sacrificially. He has brought joy, peace and strength to my life which is a tangible reminder of God's love towards me. I can't wait to marry him and for us to adventure through life together. I pray God will be honored through this sweet union He has given us. I am so excited and so thankful! ❤️ A Thankful Bride, Jessica"
"With just 2 days until the most special day of my life, I can't help but be overwhelmed with joy. God has blessed me beyond belief with Jon. I've always prayed for the man that would one day become my husband, and I knew Jon was that man the day I met him. Jon, I promise to love you, cherish you, adore you, laugh with you, and cry with you...for the rest of my life. I'm so thankful for you and this life we have started together. I know that there's no way I can be me if I don't have you... I'm so ready to celebrate our marriage with our closest family and friends on Saturday!! Here's to forever with my very best friend and the absolute love of my life! - Haley, A Thankful Bride"
"Ahhh I can't believe our BIG DAY is almost here!! I get to marry the man of my dreams, my best friend and greatest blessing in life! I'm overwhelmed with joy and so thankful that God blessed me with such an amazing man to do life with! Watson is the man I've always prayed for; God fearing, has a heart of gold, and loves me like no other! I'm so grateful I'll get to stand beside a man who serves as a reminder of Christ's love for me forever! I can't wait to see what God has in store for our marriage! A super Thankful Bride, ❤️Ashley"
"I am married to my best friend! Thank you, Jesus...for loving us, for chasing after us, & for allowing us to experience marriage/life together. A Thankful Bride, Jordan"
"In two short days, I will be marrying my soul mate after 10 years of being together!! I am filled with joy and excitement since I have waited for this day for so long. It is an honor that I get to marry my bestest friend. I thank God daily for our relationship and how strong we are together. We are always there for each other, through the bad days and the wonderful days. I couldn't be more thankful for a loving, caring, and hardworking man that I get to marry. The best part about our relationship is that we love each other for who we are and what we stand for. To my Aj, I love you so much!! I don't even have to tell you how much you mean to me because you already know. I can not wait to be your wife and do this with you forever! "I have found the one whom my soul loves. Song of Solomon 3:4" A Thankful Bride, Taylor"
"Wow, it's so surreal that I get to marry my best friend in just a couple short days. Words cannot even express the love that I have for you. I have been dreaming about this day since I was 17. I knew the night that I met you 6 1/2 years ago that I was going to marry you. And I prayed that night that if you weren't the man I was going to marry that you wouldn't pursue me at all, and boy did you pursue me! I'm SO thankful that you did! I'm so excited to see what God has planned for us, and I cannot wait for many more years of laughter and to grow old with the love of my life. Love, A Thankful Bride Ashley"
"I can't believe the day we have talked about for so long is finally here! My heart is bursting with excitement knowing I get to share all of life's greatest moments with you by my side; while at the same time, I feel calm in knowing that I have you to help me take on the toughest days life has to offer. Falling in love with you was so effortless and God constantly reminds me in little ways that he made you just for me. To the guy that makes me laugh harder than anyone else, makes me feel more beautiful than I ever thought possible, and always pushes me to reach my goals... I can't wait to be your wife!! A Thankful Bride, Chelsea"